There is a new Gamblers Anonymous group in the New Providence (Nassau), Bahamas. The group is currently being formed and the meeting schedule/locations being put together. 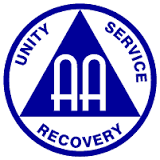 Gamblers Anonymous (GA) is temporarily borrowing space on the AA page until they can get theirs up and running. Gamblers Anonymous meets at Sacred Heart Roman Catholic Church on Shirley Street on Thursdays from 12 p.m. to 1 p.m. in the church hall (for Google Map location go to the Map page). "​GAMBLERS ANONYMOUS is a fellowship of men and women who share their experience, strength and hope with each other that they may solve their common problem and help others to recover from a gambling problem. We learned we had to concede fully to our innermost selves that we are compulsive gamblers. This is the first step in our recovery. With reference to gambling, the delusion that we are like other people, or presently may be, has to be smashed. We have lost the ability to control our gambling. We know that no real compulsive gambler ever regains control. All of us felt at times we were regaining control, but such intervals - usually brief -were inevitably followed by still less control,which led in time to pitiful and incomprehensible demoralization. We are convinced that gamblers of our type are in the grip of a progressive illness. Over any considerable period of time we get worse, never better. Therefore, in order to lead normal happy lives, we try to practice to the best of our ability, certain principles in our daily affairs."